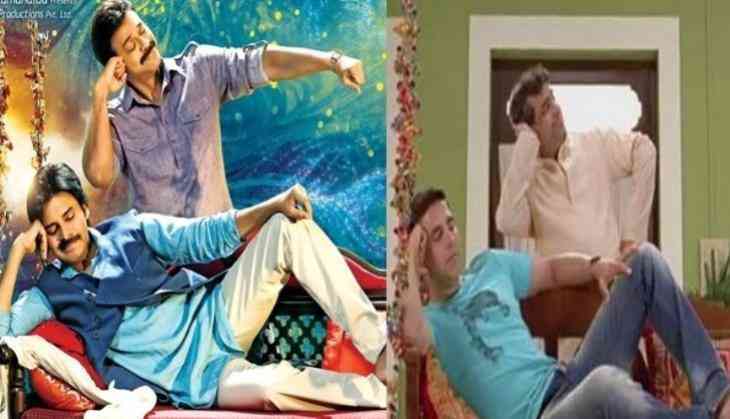 It's known that Pawan Kalyan and Venkatesh's 2015 Telugu film Gopala Gopala was the remake of Akshay Kumar's 2012 hit film Oh My God. While Venkatesh portrayed the role of Paresh Rawal, the Power Star was seen essaying Lord Krishna's role donned by Akshay Kumar in its original. And now, according to Telugu media reports, the super hit Pawan Kalyan - Venkatesh duo is all set to remake another Akshay Kumar starrer in Tollywood. Reportedly, both the Telugu superstars will star in the Telugu remake of Akshay Kumar's 2017 hit film Jolly LLB 2. Haarika Hassine Creations, the makers bankrolling Pawan Kalyan’s upcoming film Agnyaathavaasi will produce the untitled film while director Trivikram has been roped in to write the screenplay of the film. “Talks have been initiated but things are yet to be made official. An announcement can be expected in a couple of months. Pawan Kalyan and Venkatesh will play the lead roles. The makers are yet to zero in on a director because the project will only roll in the first half of 2019. In this interim, both Pawan Kalyan and Venkatesh will wrap up their other commitments", a source close to the film said.